Sometimes it’s OK to enjoy a disgusting chip. According to people in our social circle, Cheetos might be the perfect non-traditional chip. And while it’s a common complaint that the Cheeto dust might end up on everything you touch for the 30 minutes following a chip binge, it’s all worth it for a chance to devour that sweet, sweet… *looks at bag label* …real cheese powder. 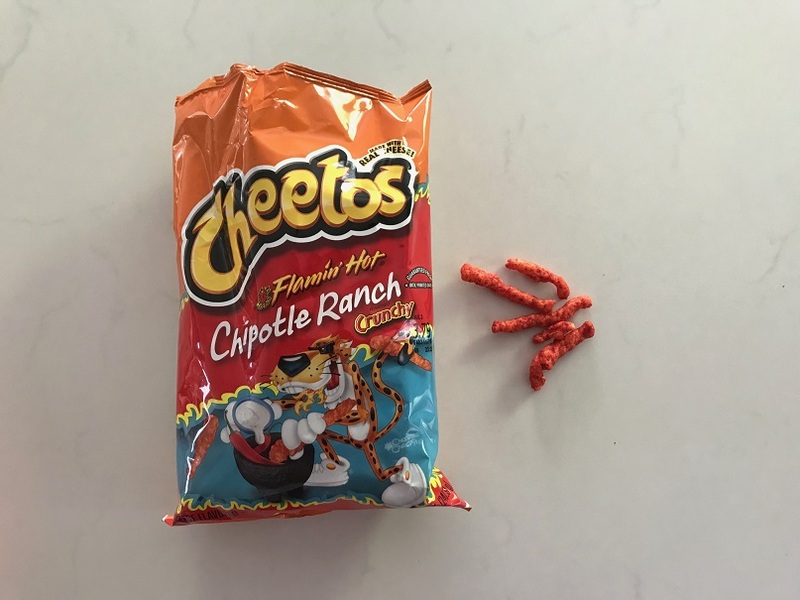 Cheetos has succeeded on the expansion into the spicy chip game, their Flamin’ Hot line wildly successful, adding a red hue to your fingertips with each handful chomped. The spice is a hit among their fan base, so it would make sense an expansion within the expansion. Enter: Cheetos Flamin’ Hot Chipotle Ranch. Similar hue to Flamin’ Hot, bright red, but the extra ranch flavor does a number on a chip that, on the service, sounded kind of disgusting. Regardless, we loved the zest mixed with a cool salad dressing kick. For those of you that shamelessly dip your Flamin’ Hots into a small plastic cup of ranch, we salute you, you were ahead of the game. But now, that isn’t necessary. The flavor is true to taste, it might sound disgusting to some, and we don’t want to know what it’s doing to our internal organs, but for a half-bag devour, we enjoyed every bite. Aftertaste was fine, but just like most spicy chips, maybe chew some gum before breathing near anyone’s face. Cheetos bags have one flaw, at least in their crunchy line, that they *look* small. But this bag outlasted two sessions, deceptive quantity in this bag. Go get a bag and let us know what you think below.